I love the look of the vehicle. I enjoy my Nissan Xterra, SUV. It is roomy and easy to handle for my dog and myself. Going to the market or just running errands gives me the options to run economically as opposed to my Silverado. I can pull the seats down to transport large items, there’s room for people and their luggage when going to the airport. I do not hesitate to take road trips because of the comfort and the mileage I get driving. My dog enjoys the roominess of th3 vehicle as well. I highly recommend the Xterra. 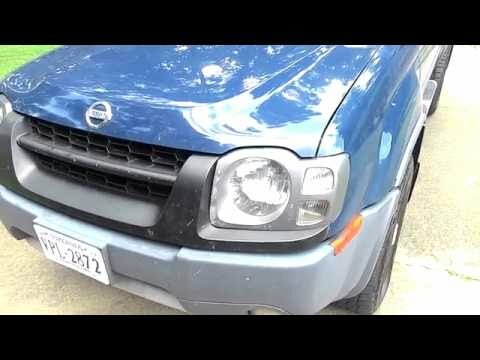 Nissan Xterra, a great and spacious vehicle. My 2002 Nissan Xterra has been an extremely enjoyable vehicle. I use it as a daily driver and have no complaints at all. There's so many different things to love about this car, such as the interior space, dependability, durability, good looks, plenty of truck space, and reasonable gas mileage for a midsize SUV. I have owned many different vehicles and this is by far my favorite across the board. I highly recommend it if you are looking to buy a midsize SUV. I think I got ripped off with the one I bought, but I've had nothing but issues with it. There is some sort of electrical issue with it so my windows do not go down and the rear defroster doesn't work. There is also a large hole in the exhaust. It started out as a work vehicle for a few months and now I just drive it to work. Other than the issues I'm having it's great in the snow, is very comfortable to drive, and I love the vehicle. On certain pickup trucks and sport utility vehicles equipped with a supercharger, under certain conditions, such as full throttle in low gear when the engine is not fully warmed up and at cold ambient temperature, the amount of intake airflow through the air flow meter may exceed the maximum preset diagnosis limit value. This will cause the engine control system to go into the failsafe mode. Under this condition, the malfunction indicator lamp will illuminate and engine speed will not exceed 2400 rpm regardless of the throttle position, increasing the risk of a crash. Dealers will reprogram the electronic control module. The manufacturer has reported that owner notification began Jan. 13, 2003. Owners should contact Nissan at 1-800-647-7261. On certain passenger and sport utility vehicles, the clock spring electrical connector may not be fully secured to the driver air bag module squib pin connector. If the connector comes loose, the driver air bag will not deploy in a crash, increasing the risk of injury. Dealers will install a retaining clip on the clock spring electrical connector. The manufacturer has reported that owner notification is expected to begin April 28, 2003. Owners may contact Nissan at 1-800-647-7261.